Nolemana and I had a coupon for dinner at Portland Seafood Restaurant, so off we went. 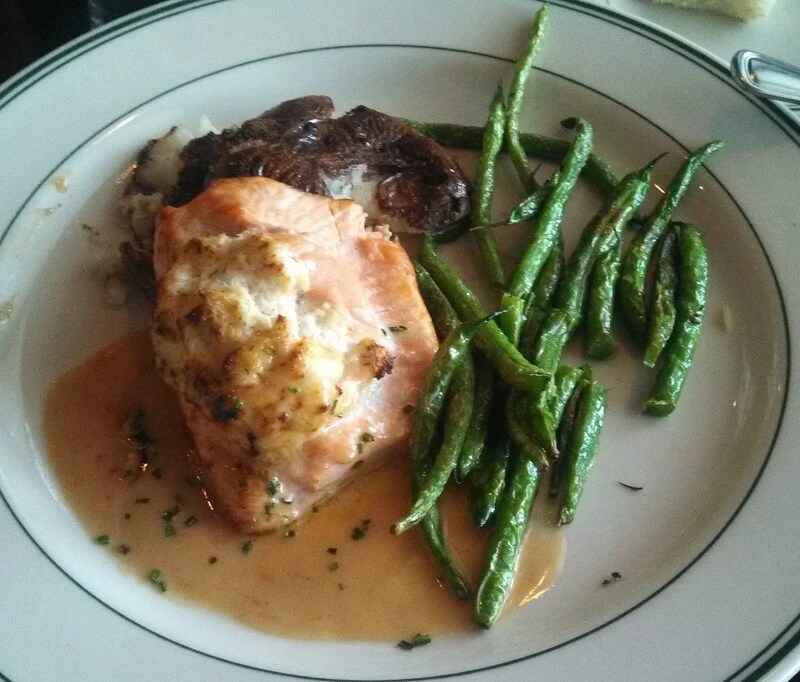 I ordered the Crab-Stuffed Salmon with roasted green beans. Ho da ‘ono!!! I had enough left over another meal, too. This entry was posted in 'Ono Kine Grindz, 365 Days. Bookmark the permalink.